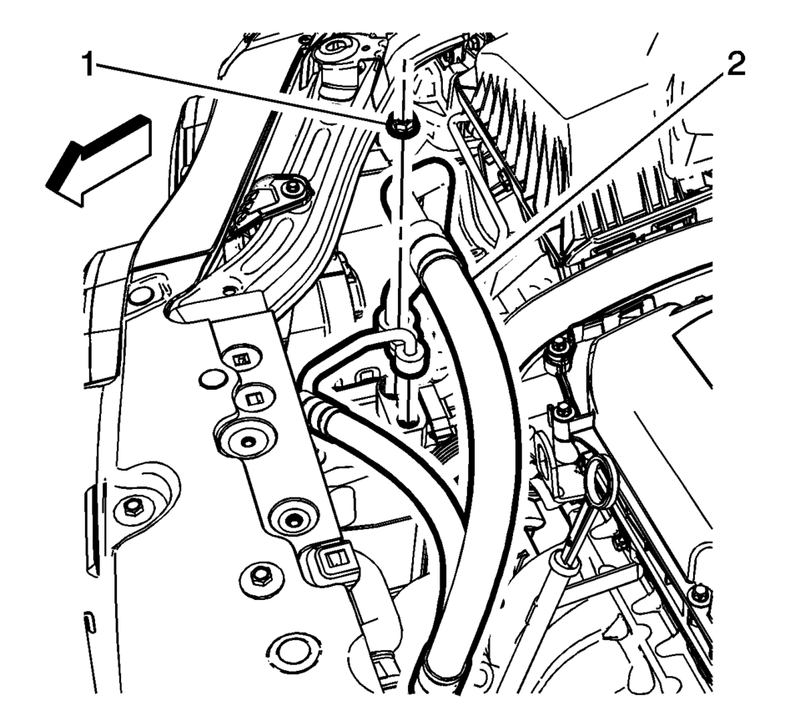 Disconnect the A/C refrigerant pressure sensor electrical connector. 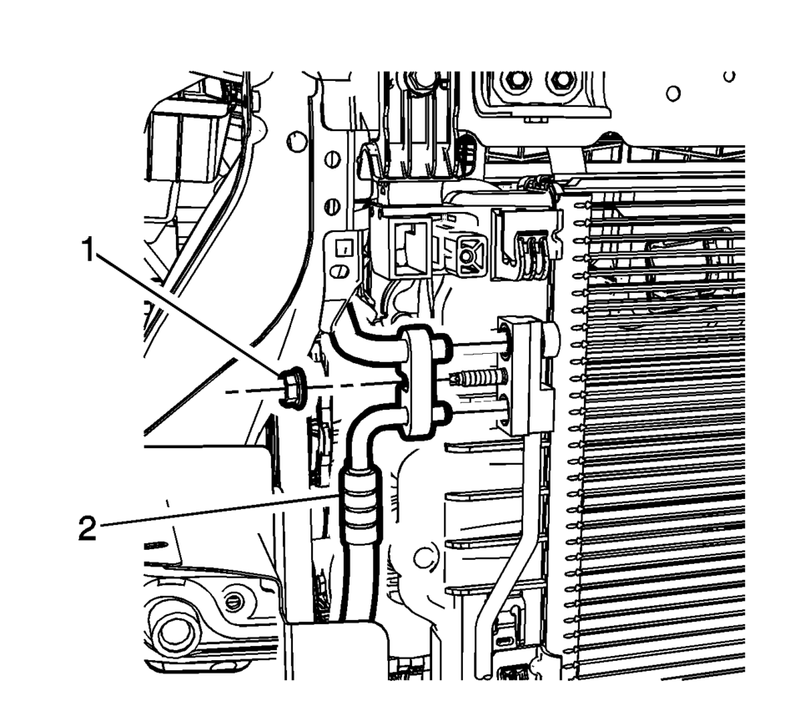 Remove air conditioning compressor and condenser hose nut (1). Remove air conditioning compressor and condenser hose (2) from A/C condenser. 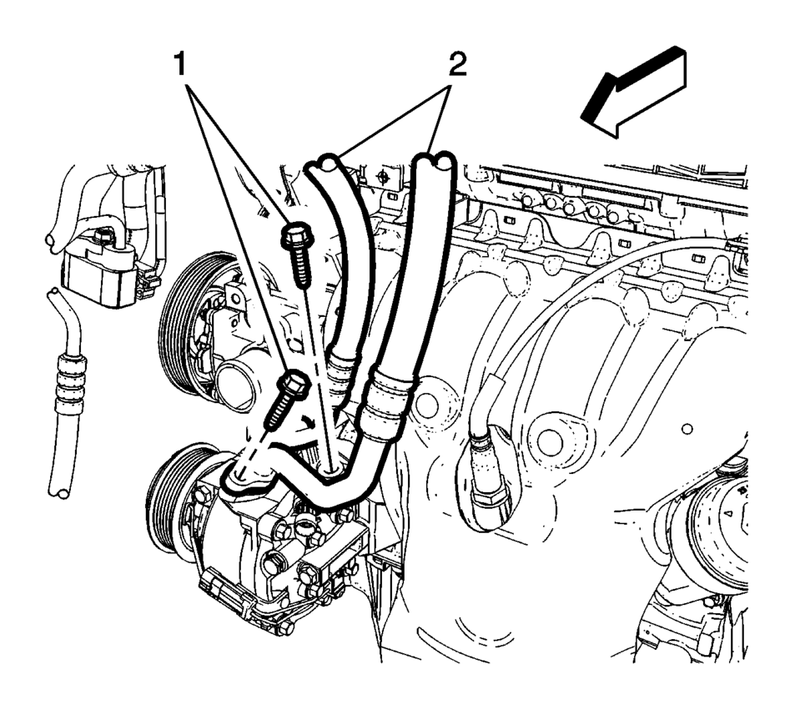 Remove A/C compressor and condenser hose bolts (1). Remove A/C compressor and condenser hose (2) from A/C compressor. Remove air conditioning compressor and condenser hose (2) from refrigerant hose. Remove air conditioning compressor and condenser hose from the vehicle. Install air conditioning compressor and condenser hose. Install air conditioning compressor and condenser hose (2) to the refrigerant hose. Install air conditioning compressor and condenser hose (2) to the A/C compressor. Install air conditioning compressor and condenser hose (2) to the A/C condenser. Connect the A/C refrigerant pressure sensor electrical connector. Evacuate and charge the refrigerant system. Refer to Refrigerant Recovery and Recharging.